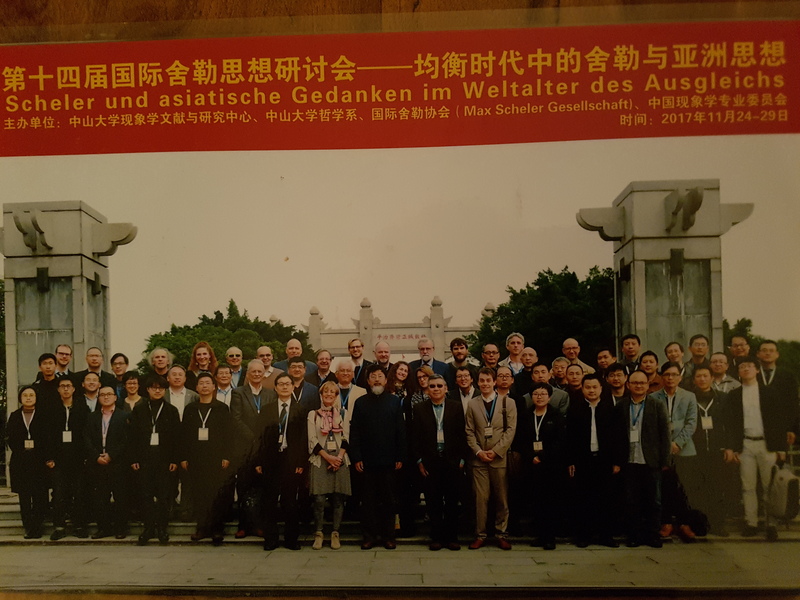 On behalf of our small community, I wish to express all our gratitude to our Chinese colleagues Professor Dr. Ni, Professor Dr. Zhang, Dr. Yang, for their wonderful hospitality and their perfect organization of the Conference on Max Scheler and the Asian Thought in the Age of Globalization. A lot of thanks too we would address to the current President of the Max Scheler Gesellschaft, Guido Cuisinato, for launching the idea and the subject of the Conference. Canton (Huangzhou) is a beautiful city with a superb downtown along the River Pearl; Shenzhen is also impressive. 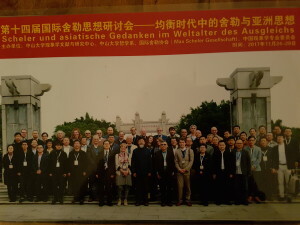 As to Hong Kong – that should be the place where the Ausgleich, the fusion-harmonization-levelling-ajustment of different civilizations – should be at its peak. I was only a bit shocked by the very imbalanced way in which a kind of Ausgleich westernized everything – not always for the best, especially when thinking of Victoria Peak’s top– covered by gigantic shopping malls inviting you to “tune in” into the Christmas atmosphere…. But there at least one can see the Original Sin resulting in such a levelling down of pure beauty. For what a victory was it, that brought so called Victoria Island under the British? Should we Western not be ashamed of calling “Victoria”, which isn’t only a British Queen’s name, the plunder of the first Opium War, or the takeover of a company of drug dealers? Shouldn’t we Phenomenologists think it over seriously, far beyond the old Hegelian and Marxist schemes of thought, what was the other side of our pride about the Rule of Law, Freedom and Democracy. I only share this with you all because it is somehow related to the subject of our Conference, and even more to my curiosity and my desire to better understand the motivations leading some, and probably the best ones, of our Chinese colleagues to the hard ascetic work of mastering the German language and the even harder intricacies of classical phenomenological prose…. Since I myself spent my youth in this enterprise (not always very rewarding, socially and academically at least), I’m even more interested in grasping something of other persons motivations to do so. Especially concerning the future leaders of the world – since Italian phenomenologists won’t have much influence in reshaping the modern mind after Europe’s decline anyway, but Chinese intellectuals might indeed play a very significant role…. Thanks a lot, wholeheartedly, to everybody – and see you soon somewhere in Europe!